Taking stock of your key performance indicators (KPIs) can help you assess whether your operation is working effectively and efficiently toward achieving your business objectives, or whether you need to pivot and tackle inefficiencies in your grow cycle or operation. For at least the past 50 years, agriculture has been trending toward massive crops from large, “factory” farms—with an expectation of low costs and high quality. Unfortunately, controlling such large swaths of land and massive crops is not easily done, so quality, yield, water usage, costs, and other variables are nearly impossible to optimize. Because of this, these large, industrial farms are swallowing up land and water at record rates, with agricultural operations alone accounting for 80 percent of ground and surface water usage in the US. 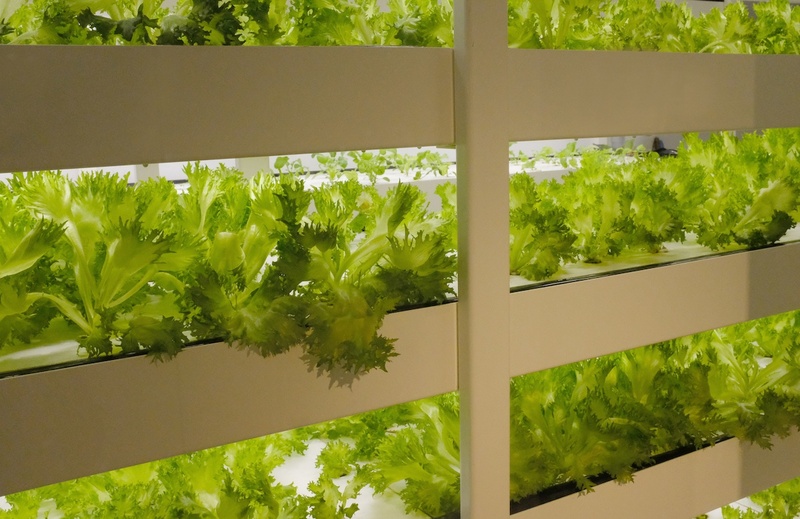 Indoor farming within controlled environments is the answer to large, unwieldy farming operations. Indoor farms give small-scale farmers the ability to manage the most minute of growth variables—from nutrient delivery, soil quality, and irrigation to humidity levels, lighting, and even pest control. These types of indoor environments operate from the plant’s perspective through the use of a grow controller whose sensors monitor the space 24/7/365 and adjust all variables in real time according to what plants need at any given moment. With dozens of variables playing into the growth cycle, there are some big ones to assess to see if your controlled environment is working efficiently toward environmental sustainability, higher yields, and a boost to your bottom line. One of the biggest goals of an indoor grow operation is that you can maximize resources, so you aren't wasting water, and your plants don’t suffer from over—or under—watering. Measuring this KPI is crucial to both quality of plant life and resource usage. In a controlled environment, water that isn’t absorbed by the roots can easily be recycled and repurposed rather than lost, which is one of the most significant problems with traditional farming. With conventional farming, one pound of lettuce requires 15.5 gallons of water, but respondents to an Agrilyst survey reported using as little as 4 gallons of water per square foot per year. To assess whether your controlled environment is properly using water, your grow controller should produce data on how much gray water is being recycled, as well as levels of evaporation. Evaporation data is crucial because this moisture plays directly into humidity levels, which can have a considerable impact on grow quality. This will allow you to adjust for humidity, water usage, and other variables for maximum efficiency and quality. With indoor grow operations, energy consumption and costs are a major concern, especially during wintertime. Effective grow controllers can be used to reduce greenhouse energy consumption per day by lowering greenhouse temperatures, but lower greenhouse temps also mean longer growth cycles. Measuring the KPI of energy consumption must take into account the impact on plant growth periods, so assessing how much energy you’re using and how long plants are taking to grow will give you a good idea whether your controlled environment is working. When energy consumption is a linear function of the difference in inside and outside air temperatures of your greenhouse, it’s important to ensure that your controllers are properly optimized for weather fluctuations to ensure energy efficiency and low energy costs. Comparing yields based on these factors will allow you to accurately adjust variables to increase yields going forward and to create continuous, repeatable growth. With powerful data about every variable and outcome in your grow operation, your KPIs should show you a successful grow operation for your controlled environment. With access to reporting, documentation, and other operational data, you can easily analyze crop yields for ways to control costs, boost production, and improve and enhance your operation. If you’re ready to learn more about ensuring your controlled environment is working, download our Next Level Grow E-Book today.